A Mile in These Shoes, on tour – a virtual book tour, that is. She will be featured on several blogs over the weeks and months ahead so keep your eyes peeled to learn more about her and her book. A Mile in These Shoes. What is it about? JO: The book is a true story about a young South American girl who had dreams of becoming a physician in her native home of Colombia. Uncontrollable events cause her to move to the United States where she struggles to survive. Over a period of several years, fate deals her so many blows, she declares: “I sometimes feel like life’s punching bag.” In spite of all that, she forges on, believing that life will one day get easier. While it is a story of disappointment, pain, and incredible losses, it is also one of strength and hope. JO: I witnessed parts of a tragedy unfold in a co-worker’s life, and I knew that her story had to be told. She had already been through the strangest of circumstances, and I could not fathom how anyone could quietly endure so much adversity. I thought her story would give others courage to deal with challenges in their lives. I also believed that it would help readers understand the nuances of other cultures and open their eyes to issues they ought to know about but might be oblivious to. JO: The writing style appeals to a wide audience. Both male and female readers of varying ages already rate it highly. Anyone who has been through difficult times or needs encouragement will relate to the story, and immigrants of all races will see themselves in this book. JO: I have two other memoirs to publish. The next one is another true story entitled Battle Lines – A Story of Deployment, Infidelity, and Broken homes. OP: Thanks for your time, J. Olympio! We look forward to learning more about you as you visit other bloggers! Whether she is writing financial columns, curricula, or proposals on multimillion-dollar contracts, J. Olympio endeavors to engage her audience. She draws you in and makes a subject come alive. 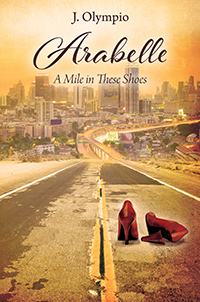 She chronicles events in Arabelle’s life in a simple yet compelling way. She is the author of two other memoirs to be published soon. Arabelle is her debut novel. Previous Previous post: Support Our Veterans This November 11 by Reading Their Books!